Consult with an expert horticulturist at home or in-store. 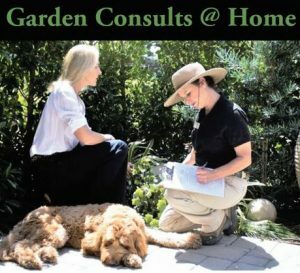 Consultation includes an hour of garden time for plant design advice, water strategies, vegetable & fruit gardening, soil and nutrition needs, seasonal suggestions, and problem-solving. Instantly be a better gardener. $200 for an hour of expert time with up to 30 minutes of extra travel time included. Watters also gives our best clients a 20% Coupon to use toward your next purchase to fill garden aspirations and dreams. To get started fill out the form below. If you have questions please visit our contact us page or you can contact us directly here at Watters Garden Center.